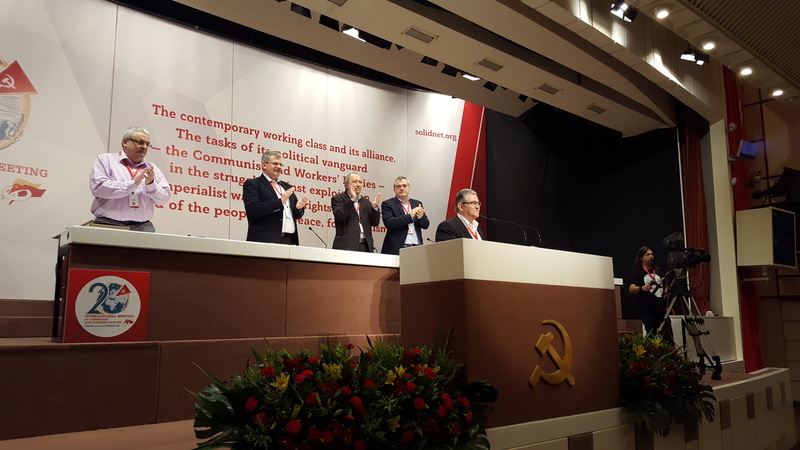 Hosted the by Communist Party of Greece (KKE), the meeting will mark the 20th anniversary of the international cooperation of communist parties under the IMCWP umbrella, since its establishment in 1998. The theme of the meeting, as decided at the Working Group meeting on May 2018 is “The contemporary working class and its alliance. The tasks of its political vanguard – the Communist and Worker’s Parties – in the struggle against exploitation and imperialist wars, for the rights of the workers and of the peoples, for peace, for socialism”. By the end of the three-day meeting, the 100th anniversary of the foundation of the Communist Party of Greece will also be celebrated.